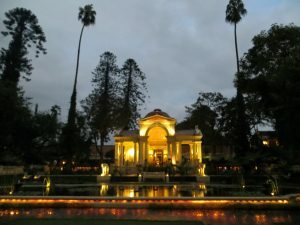 The narrow old town alleys, hindu temples, buddhist stupas, museums, parks, bars, restaurants, hikes, the possibilities are endless. 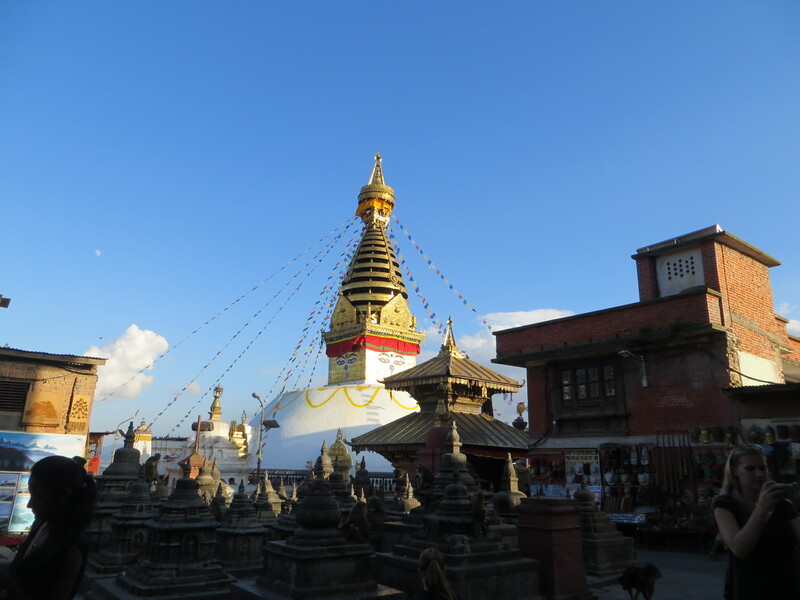 Its one of the 2 big buddhist stupas in Kathmandu. It’s located on a hill and is supposed to be „self made land“. So the stupa orginates from a lotus flower which was on top of this hill when the Kathma ndu valley was acording to the legend still a giant lake and after the water left, it became a place of peace and meditation. Many people rebuilt and repared the stupa but some say no human was involved in it’s first making. However it’s a beautiful spot to see the whole city from the top. Great view point! 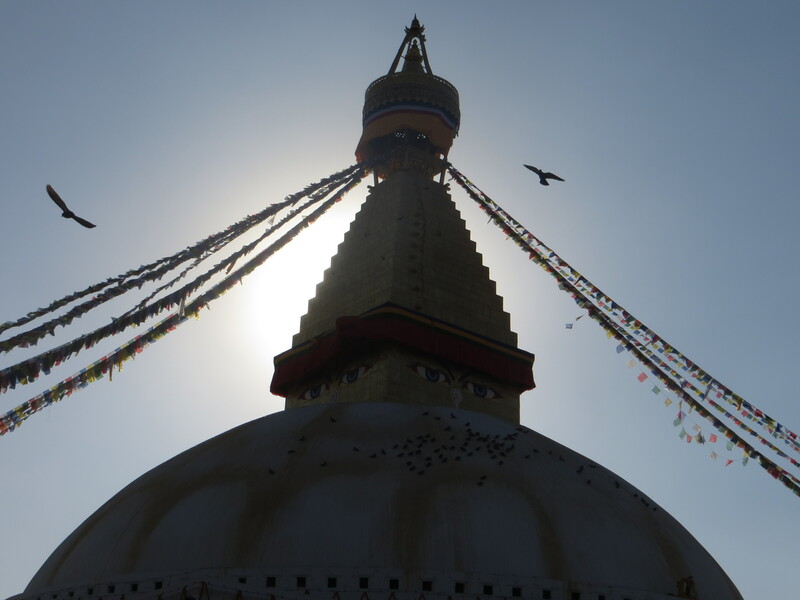 Also the stupa itself makes a spectacular photo object and I just loved walking around it (clockwise!!) and watching tourists, locals or monks. You also can buy souvenirs or a little butter lamp to place in one of the temples to ask for some luck on your journey (with your right hand). Make sure to ring the bells so the gods can hear your plea. 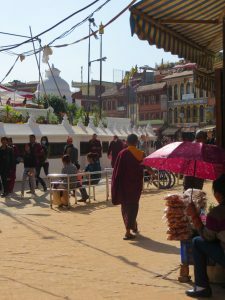 Below the stupa there is another small one with loads of prayer flags and a small pond where locals through coins in a bucket to get luck. A monastery is also located on the sight. You can go and listen to their pujas. From Thamel it’s a 30 minute walk to the bottom of the over 300 stairs (didn’t count). Big Buddhas are guarding the entrance and prayer flags glow in the sun. Be aware of monkeys. Don’t take out food. Best don’t bring any food in the first place. They will attack you! It’s also called moneky temple for a reason! 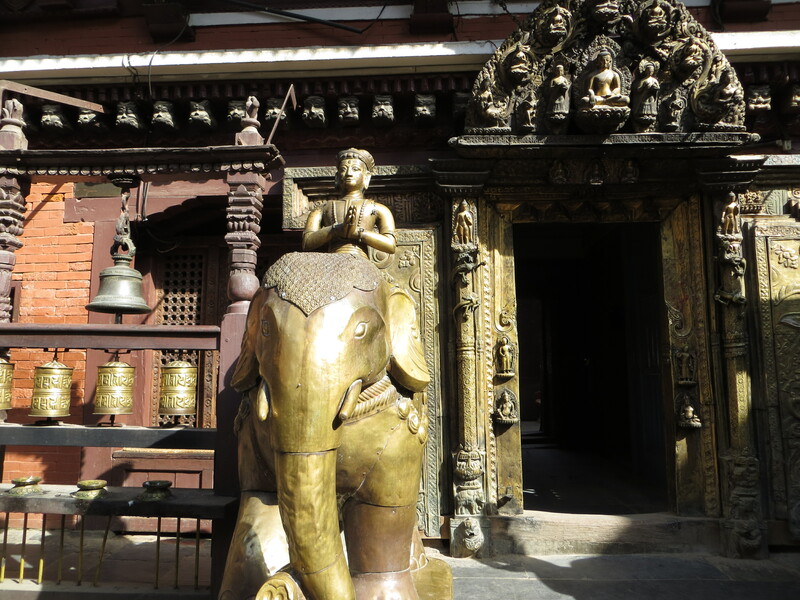 Kathmandu’s old town is great! It’s narrow, it’s dusty, it’s dark, it’s full of people, motorbikes, rickshaws, markets and temples. You feel as if you are in another time or reality. Lot’s of streets are less than 2 meters wide. Shops row in the bottom of each house and sell absolutly everything: Pots and pans, jewlery, cloths (modern and tradi tional), spices, meat and fish, electronic devices, puppets, cheap chinese decorations, colours, vegetables. Walking through, you will be amazed by the maze. 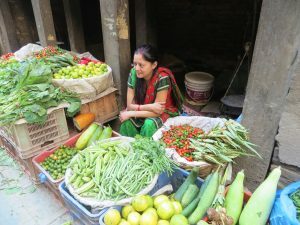 Women in kurtas (long blouses with puffy pants) will sell vegetables on street markets and men will drink milk tea and chat with the next shop’s owner. Kids run around and motorcyles will try to get through the crowd honking wildly. jewelery alley, a copper alley…Also many temples are located here. My favorit is the temple of Tara (the goddess of compassion) . And the old Newari houses are a sight for themselves. Beautiful carved wooden windows and doors make the image complete. Sadly many old houses were distroyed during the earthquake. A walk through will occupy you for at least 2 – 3 hours since you will get lost many times, but just go with the crowds and enjoy the hussle. 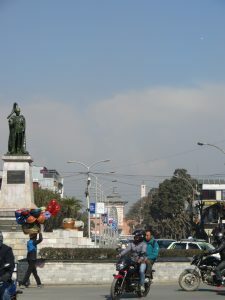 From Thamel just continue down towards Durba square. 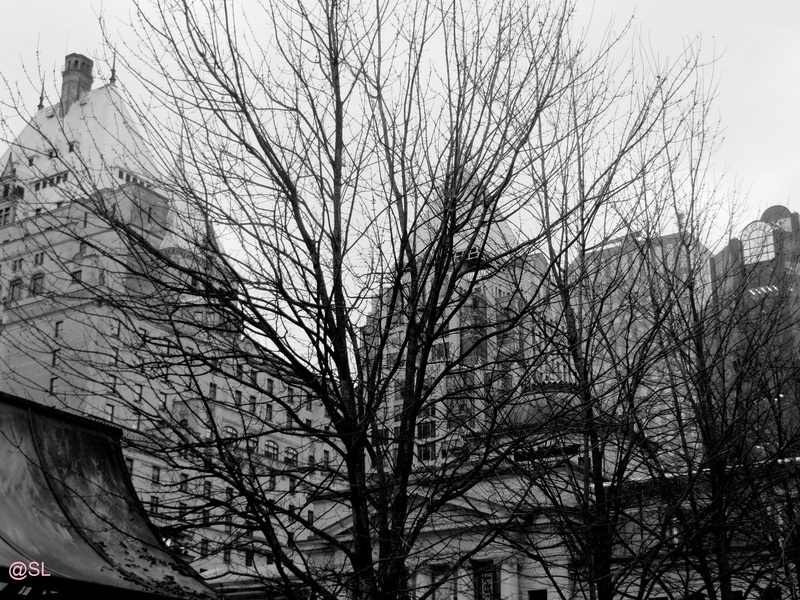 The old town is basically between the two. Download maps.me it really helps you to get out of the narrow alleys once you are lost (so after 2 minutes). Boudha is the second big stupa in Kathmandu. It was destroyed during the earhquake but quickly renovated due to its importance as the most important buddhist pilgrimage temple outside Tibet. 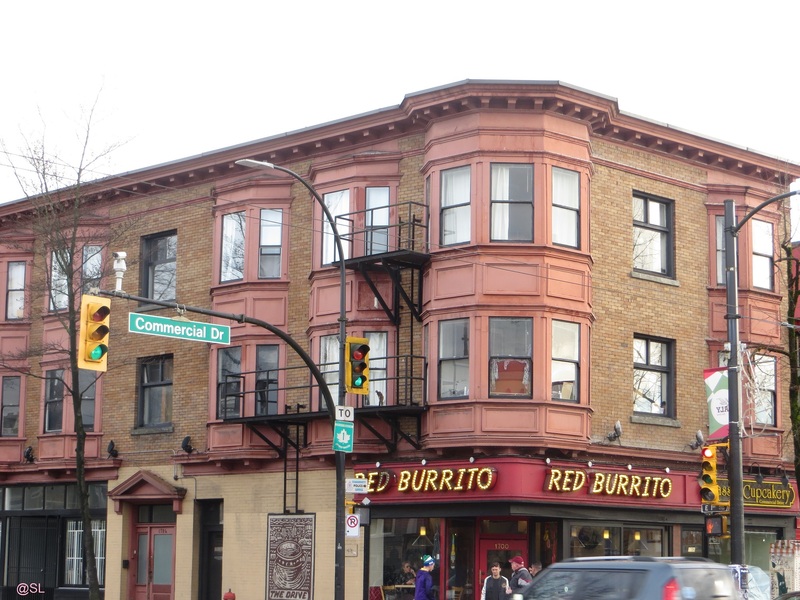 The last renovations were completed in fall 2016. 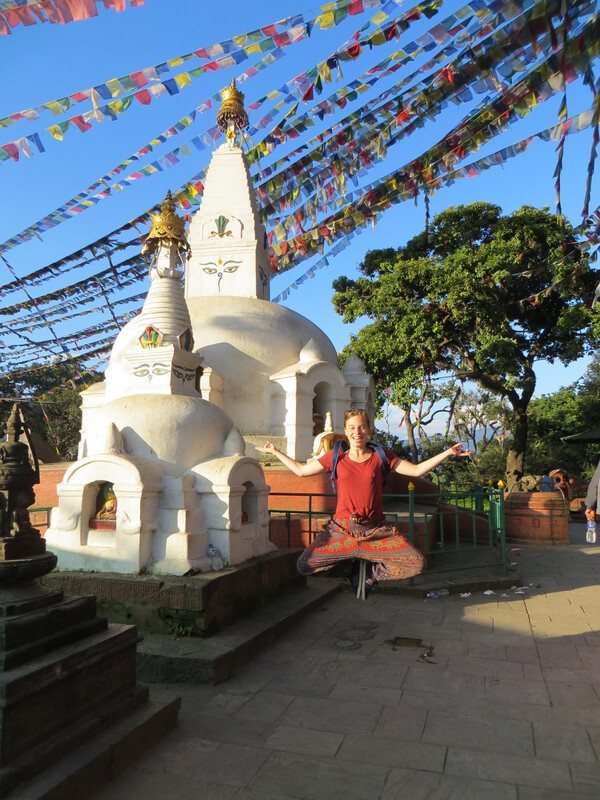 The moment you enter the circle around the stupa you are stunned! It is much bigger than Swayambhunath. 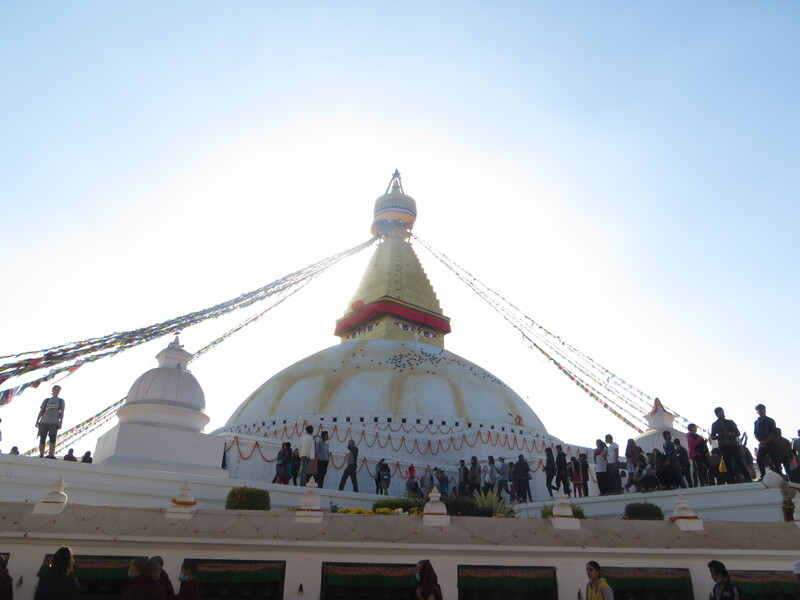 The huge white stupa looks down on you with the eyes of Buddha while it beams in the sun. You can walk around the bottom or on the upper level. Monks and regular buddhist or just people looking for good fortune will go around clockwise (allways go clockwise!) and turn the prayer weehls. Feel free to do so yourself!There are many souvenir shops and restaurants around Boudha and in the alleys next to it. My choice of restaurant is Nir’s Toast and Bakery. It is not directly next to the stupa but you can still see it from the terrace of the restaurant. It offers cake, coffee or lunch and dinner. 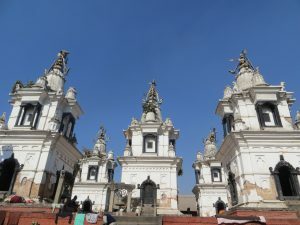 You can also visit the monasteries close by, they open during their pujas to everyone. 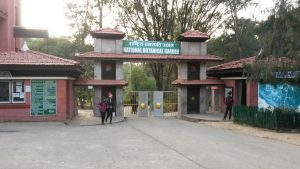 Take the bus from Ratnapark. 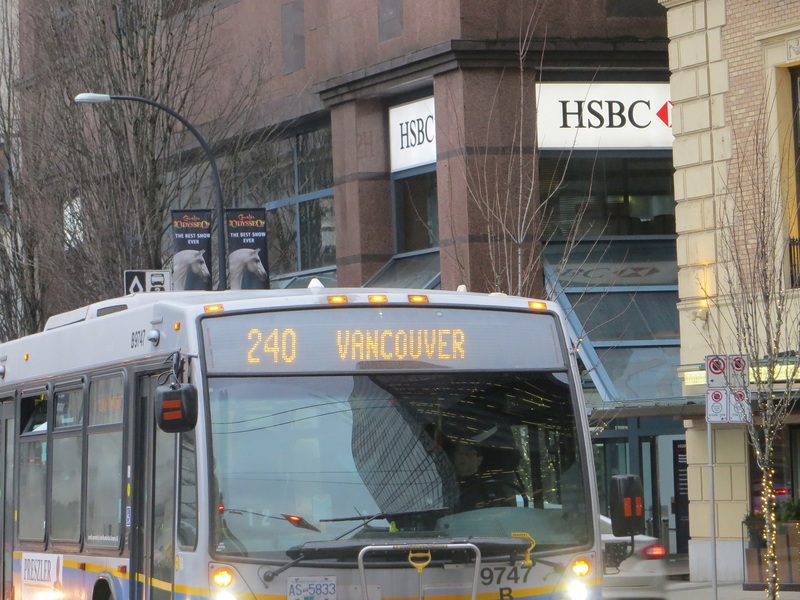 It costs around 20 rps and l eaves as all busses when it’s full. Just ask at the station which bus it is. 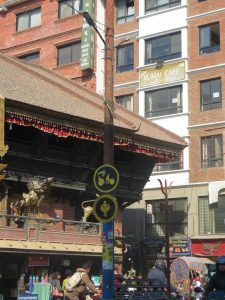 But you could technically enter through a restaurant which has entrances on both sides, street and stupa, technically of course! 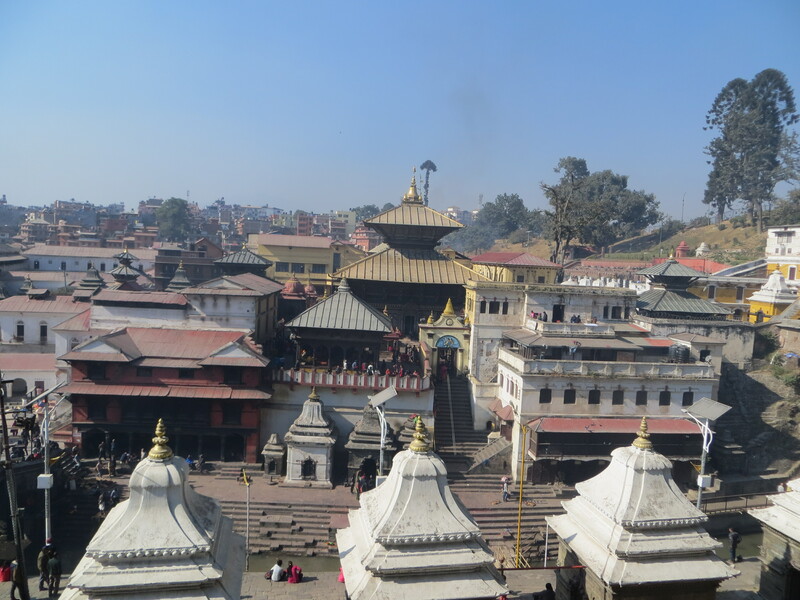 You can do Boudha and Pashupatinath at the same day. 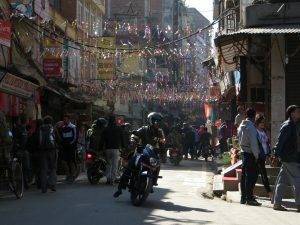 Thamel is the tourist hub in Kathmandu. Most backpackers start their journey here and volunteers enjoy their weekends in the restaurants and bars. 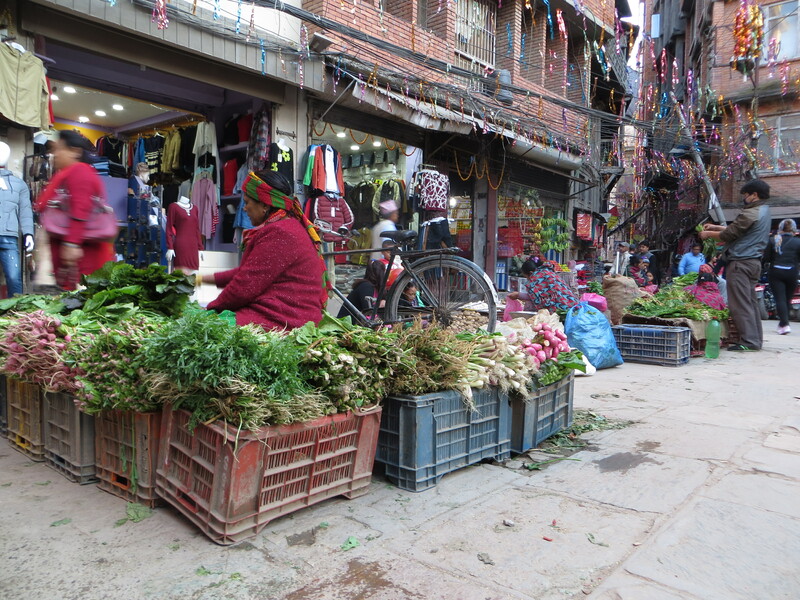 There is a lot to see and more to buy but be aware, it’s not the real Kathmandu. Still it’s really nice to walk around and shop for souvernirs. You can buy almost everything, cloths, tea or spices, books, jewlery, paper crafts, felt items and more. Most liked souvenirs are small carved wooden elefants or buddhas, necklesses, massala tea/spice and paper lamps. Also available are „real“ silk or cashmere items. But be careful, most shops only sell scarfs up to 25% cashmere. A real pashmina shop shouldn’t sell yakwool or have lot’s of display outside. They look expensive and clean! A 100% cahsmere scarf should cost you around 3000 rps. Real pashmina wool schould smell like burned human hair and the ash should not be sticky if you burn a thread. The same with yakwool. Ask the shop owner how much percentage it has, if he sais 100%, say no and ask again. They’ll tell you the real percentage. Also be carefull with gems. For eating out, there is food from all over the world. Obviously Nepali, Indian and Tibetan food are the best. My favorite is the Utse (Tibetan food). 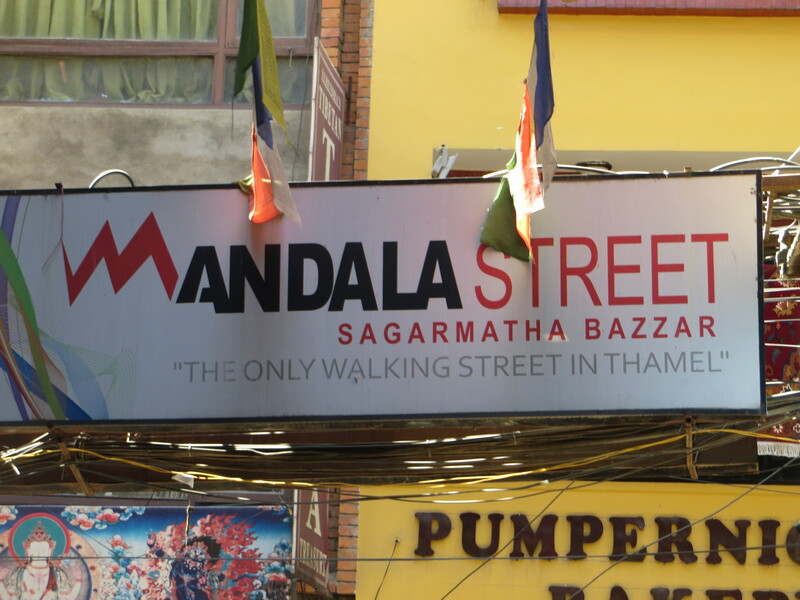 You probably have your hotel in Thamel. Bargain like crazy! 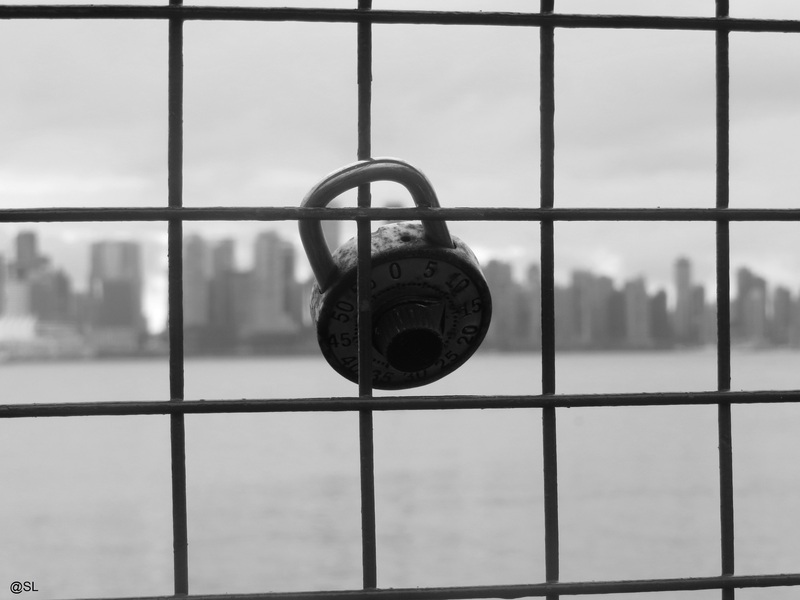 Ask for the price, then say half of it, work your way to the middle from there. 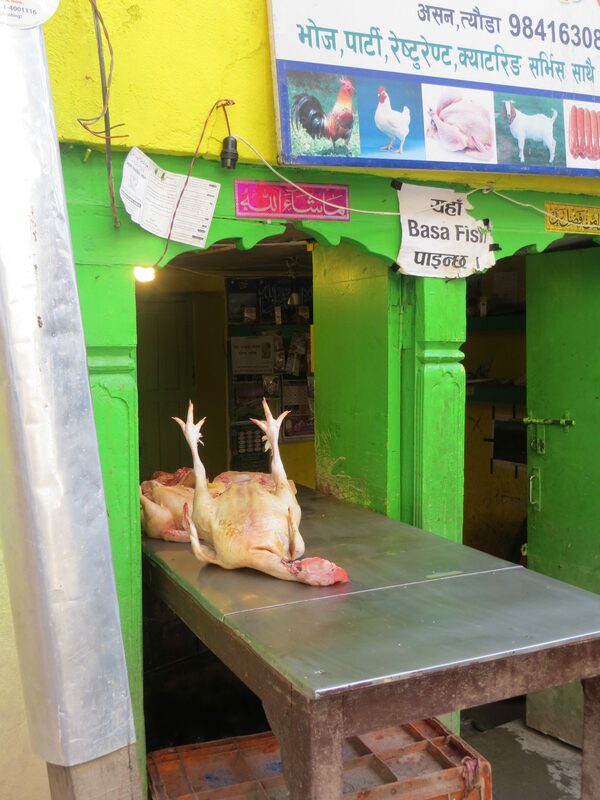 Another method is to take off a few rupees from the original price and when they don’t agree immediatly just take out the money and give it to them. They won’t say no to it. But be respectful and polite. Sometimes bargaining doesn’t work out. And always remember you are trying to make a cheap thing more cheaper but for them it’s their only income! Bhaktapur is Nepal’s old king city. 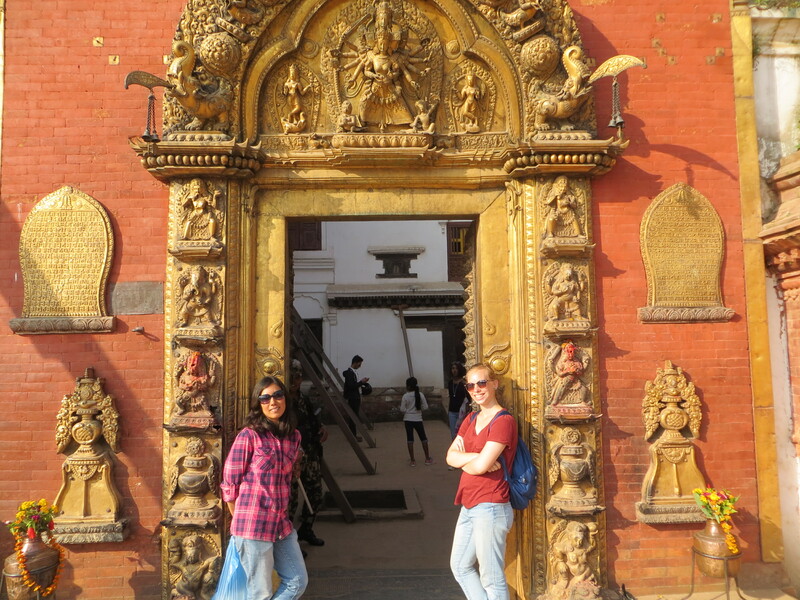 Here in acient times the king had his palace and Bhaktapur’s Durba square (lit. Palace square) is the best surviving one after the earthquake 2015. Kathmandu’s is almost entirely destroyed and Patan’s almost not visible through the constructions. 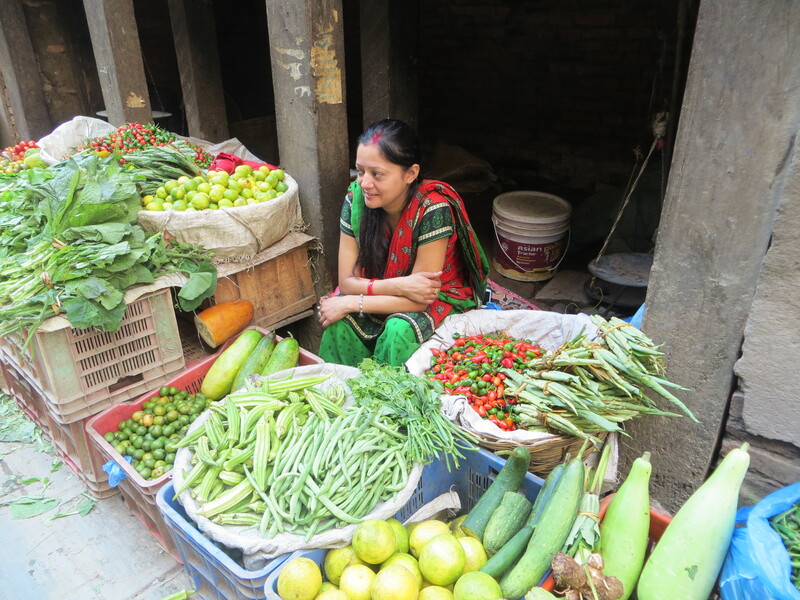 Also the small alleys of Bhaktapur really take you into another time period. 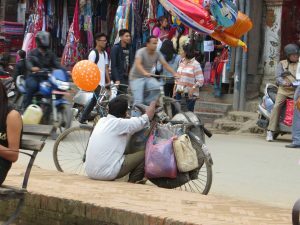 Things here haven’t changed as much as in busy Kathmandu. It’s quieter, cleaner and less full. The houses are mostly made of mud or clay and have beautiful, handcarved wodden windows and doors. 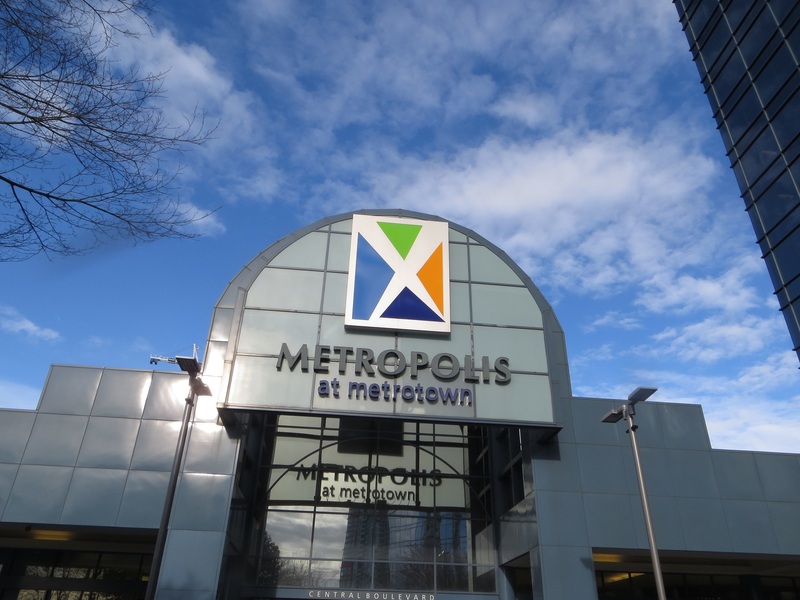 There are two main squares. The smaller one is Taumadhi square which is surrounded by woodcarving shops, potteries, paper shops and little cafés. Here almost no sights of the earthquake are visible. A short walk from here you get to the main Durba Square. 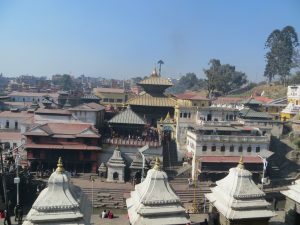 Lot’s of buildings here were destroyed fully or half but still many old temples remain and it’s much less crowdes than Kathmandu’s. There is also a museum. 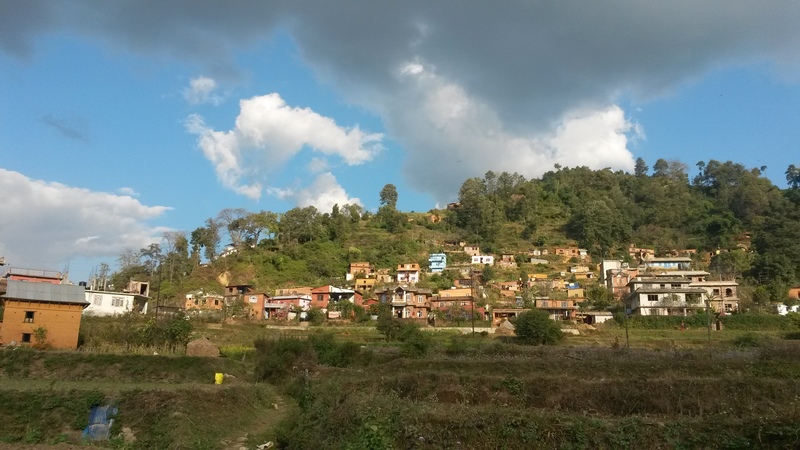 Nagarkot is a small village up in the hills. 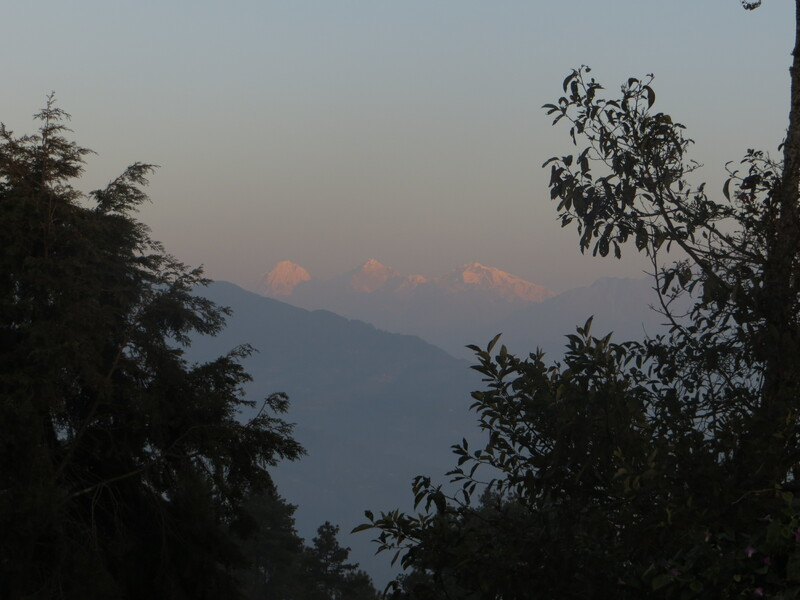 It’s easily reachable from Bhaktapur and worth an overnight stay. 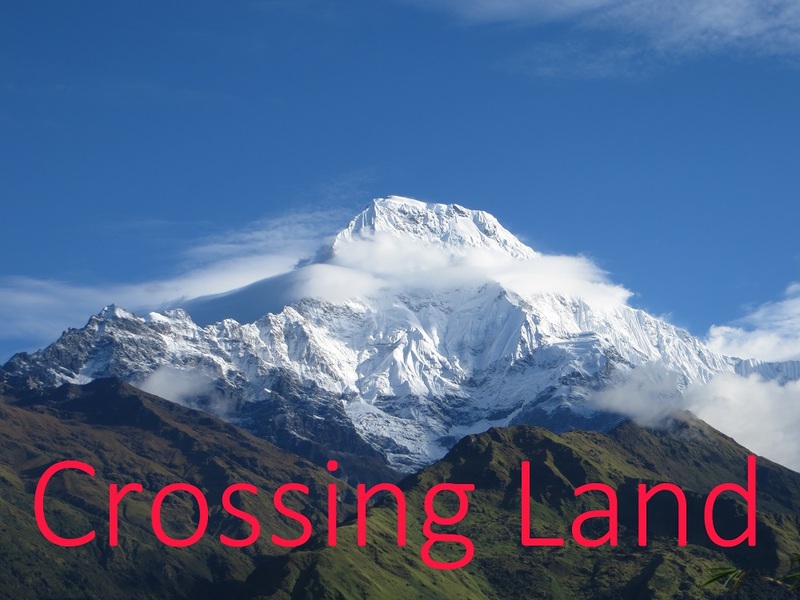 Tourists who aren’t able to go hiking and experience the Himalayas up close like to go here to enjoy a panorama view of the Langtang range and sometimes even glimps the famous Everest. Best time to visit is D ecember to Janurary. It is a nice place to enjoy the quiet but be not much authenticity here. It’s made for tourists and tourists only! I would recomend the Hotel at the end of the universe. Behind Ratnapark there is a bigger bus station where overland busses leave. Ask around until someone shows you the bus to Bhaktapur (25 rps.). In Bhaktapur try Juju Dhau (King’s curd). It’s amazing and best not in the tourist restaurants but small local shops. 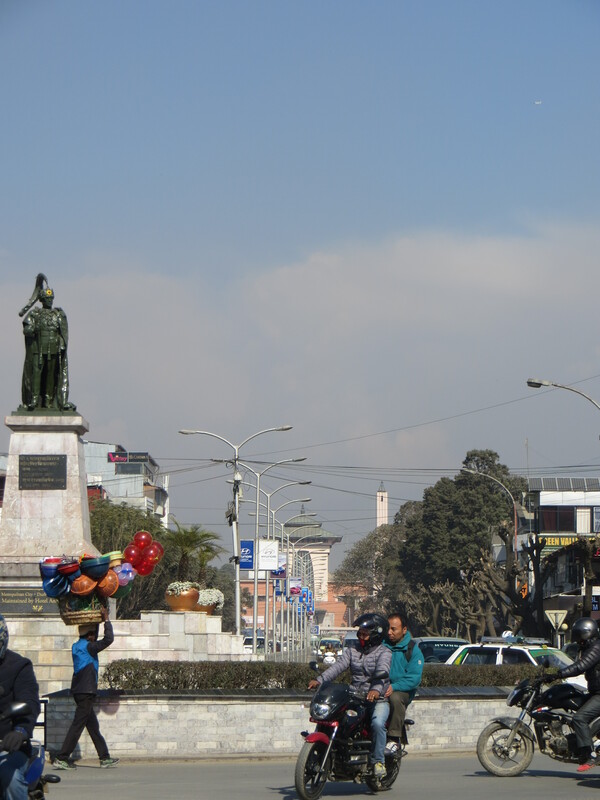 It’s now a part of Kathmandu, the cities just grew together. But it is a bit quieter and especially if you stay a while in Kathmandu Patan is a nice afternoon trip. 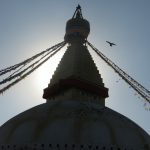 The architecture and the people’s way to be totally calm in the crowds will show once again how authentic Nepal still is (a part from the many souvenir shops). 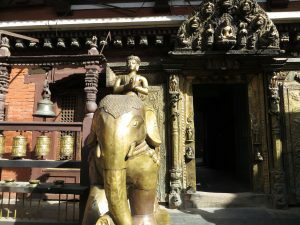 Patan has many nice temples (like the Golden Temple) to visit and is famous for it’s Tanka Schools (Buddhist paintings). Who likes a more modern vibe should cross the big road at the Labin Mall and head up to the modern, very cultural part of Patan around the Kathmandu Jazz Conservatory. Here you can find plenty cafés, bookshops or art galleries. 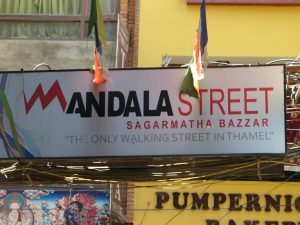 Take the bus from Ratnapark (leaves at the side oppsite to Thamel) to Lagen kel. From here it’s only a 5 minute walk down a local shoppin area. The Durba square costs 1000 rps (winter 2016). If you already saw another one don’t pay, just look from a distace. 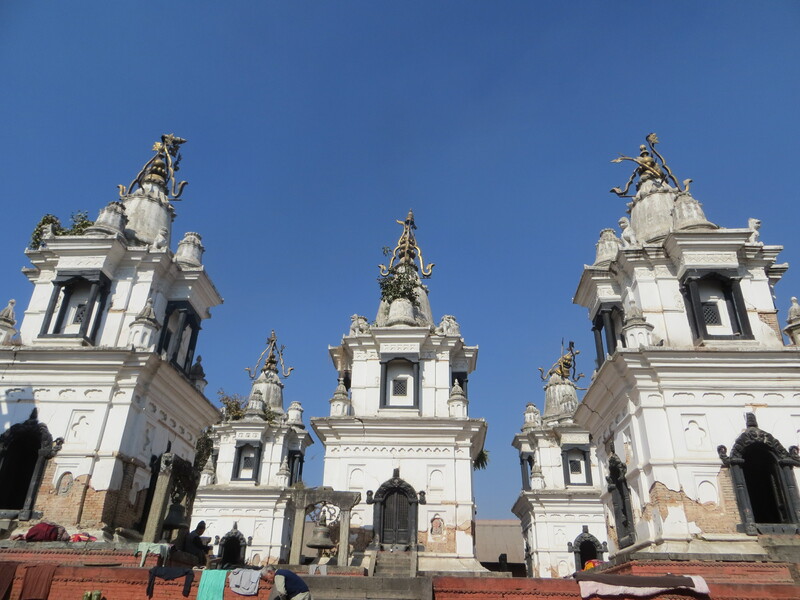 Pashubatinath is an area filled with Hindu temples and Nepal’s most important crematorium. In order to visit this place you must know that Hindus burn their dead in puplic and then scatter the ashes into the river (in this case the Baghmati). Earth, Wind, Fire and Water must come together at the burning place in order for the dead to go on to their next life (Hindus also believe in reincarnation). This place is really holy to Hindus and you should respect that. 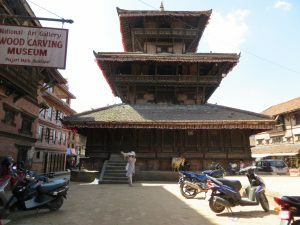 The actual Pashubatinath temple is not accessible for non Hindus (or anyone who looks not Nepali or Indian). But you can see through the gate or from above into the courtyards where a giant bull gards the temple (the bull is the simbol of Shiva). Around the main temple there are smaler once open for visits. You can walk over the river and watch the burning ceremonies. It might sound morbit watching some stangers funeral but here it’s normal. Just keep your distance and be respectful (no fotos)! Get a guide. You can easily ask for one at the ticket office. Some are students with a weekend job others professionals. My guide’s name was Sudan and he was very helpful and explained with lot’s of details for 3 hours. Without a guide you never understand which temple is dedicated to which good (there are thousands of them). It’s a really interesting place and here I learned most of the things I know about hinduism. 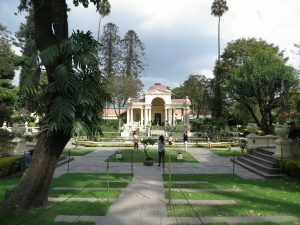 If you want to be in a quiet and peacfull place in the middle of Kathmandu, the Garden of Dreams is perfekt! 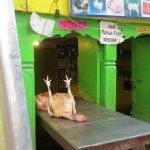 It is located right outside Thamel. White walls keep the noise out and it is beautiful maintained. The small garden has a british touch to it even though Nepal was never colonised. 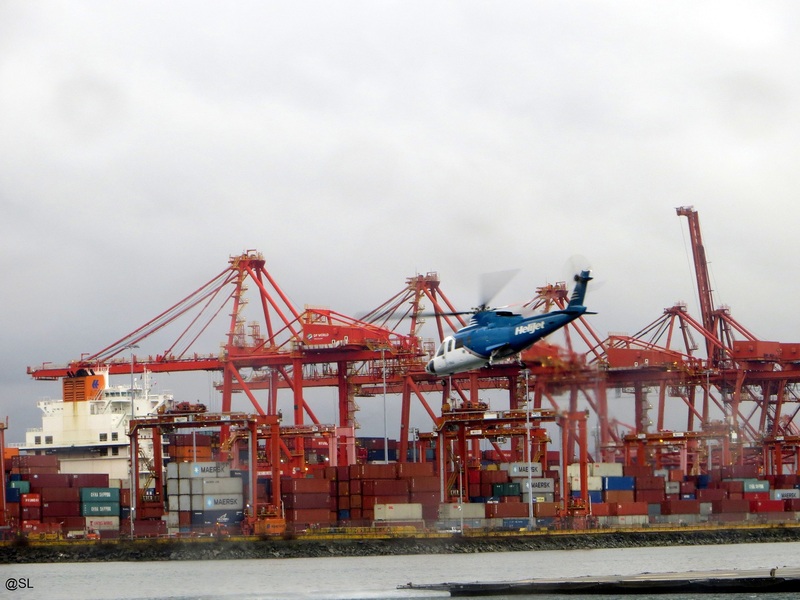 It is very green wich is hard to find in the capital and has excellent service. You have to pay to get in but you will get mats to lie on while reading a book, umbrellas if it should rain to get around and a clean environment. Locals mostly use it as one of the few spots where they can show affection in puplic, so be prepared for many couples. But it is also easy to get in touch with other tourists here. Bring your own food and make a picknick or eat at the café or restaurant (a bit pricey though). The place also has the cleanest and prettiest toilets I saw in Nepal! Just go and relax for a couple of hours and forget the busy life outside. It’s right next to Thamel behind a big white wall. Bring some nuts to allure the chipmunks! Yes Nepal has a botanical garden, more or less. It is located in Godavari, a small village 1 1/2 hour outside the city. More or less because you can’t expect a fancy garden with lot’s of descriptions and perfect patchs. 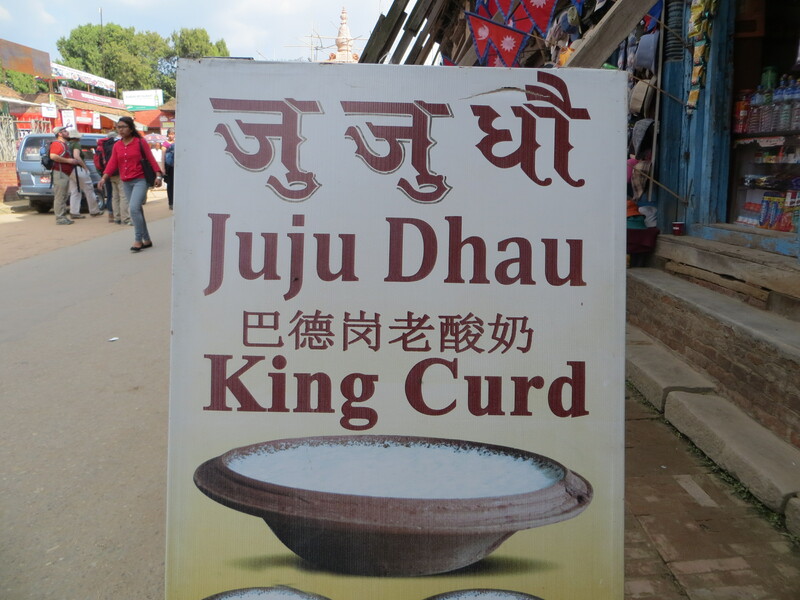 It’s like everything in Nepal a bit impro vised but that makes it’s charme. The garden itself is quite big and a popular picknick spot for people from the city. There are different areas like a stone garden or a fern garden. 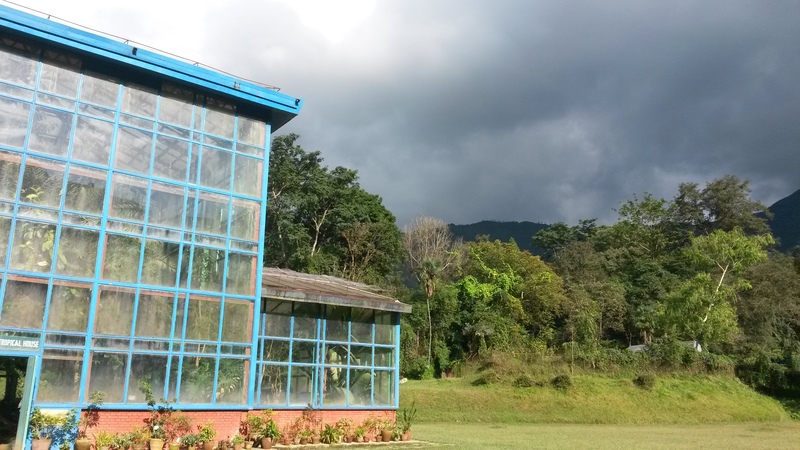 Those might sound like more than there is but really impressive are the greenhouses. There is one large one and multiple small ones with different types of vegetation. All through the park are benches and little pagodas to sit (again also here lot’s of couples). It is nice to have a stroll, breathe fresh mountain air and get out of the city. Godavari itself is a perfect example of Nepali village life. School children in uniform, men gambling in little tea shops, women making baskets or carrying big bags of rice on their backs. Chicken, goats and cows roam the streets and little kids chace after them. Apart from the authentic Nepal you can visit the 2 monasteries (one Nepali and one Chinese) close to the botanical garden. There are open for visitors and you can go and watch their puja (preyer) at 3 pm. Just follow the road at the main entrance of the botanical garden and turn left. Take the mikro bus from Ratna park to Lagenkel and from there to Godavari. Just ask the bus drivers they know where the busses leave. From the buspark go down the left street. After the bridge comes the back entrance of the garden on the right side. Go in one of the tea shops and get excellent milk tea for 10 rps. Nepal isn’t just yet on the museum trek. There are a few but they are small. The Palace museum however is quite nice. It used to be the residence and working place of Nepal’s king and his family before they were massacred in 2001 and the succesor lost his throne in the moaist civil war. The palace was built in the 1970 and the decor and furinture is still the same. It is a bit of a time capsula! But you don’t spend more than 1 1/2 hours walking through the differen rooms, for wich a brochure tells you about the different purposes. The whole thing however is a bit misterious because you can’t take cameras or mobiles inside and the massacre on the king family is still a mistery. You can see the bullet wholes in the garden where they were shot 2001. 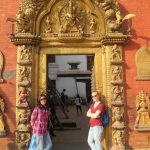 If you are interested in Nepali history this is the place to come. Walk from Thamel past the Garden of Dreams, cross the street after 200 meters it’s on your left side. It’s a good activity for rainy afternoons!